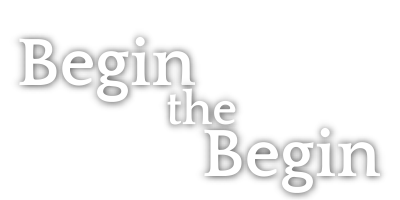 Begin the Begin – Once you begin, you are closer to the end than had you not begun at all. You may wonder from where the name of this blog originated as it is not the R.E.M. song. It comes from the above-referenced phrase I remember reading in the eighth grade that my teacher had posted on the wall. I do not recall the author (and have tried to track that information, but to no avail). It is clear that this simple phrase has stuck with me throughout the years. And, it is a good place to start when addressing estate planning, business planning, incapacity planning, special needs and elder law issues as well as winding your way through the administration of an estate or trust. All of these subjects can be sensitive and difficult topics to discuss, a discussion many choose not to start. However, as simply stated once the conversation about these subjects has begun, you will be closer to finishing your plan (and be better prepared) than had no conversation been started at all. To begin your planning, please contact me at 703.218.2175 or email me at catherine.schottmurray@ofplaw.com. See Disclaimer. Now let’s Begin the Begin!